Located in a 100,000-square-foot former Scottish Rite Masonic Temple originally designed by Millard Sheets in 1961 and repurposed and renovated in 2017 by Kulapat Yantrasast of wHY Architecture, the Marciano Art Foundation was established by Maurice and Paul Marciano to grant the public access to the Los Angeles based Marciano Art Collection through presentations of rotating, thematic exhibitions. Edited by Stacey Allan. Text by Martin Shaw. Edited by Stephanie Emerson. Text by Doug Harvey, Philipp Kaiser. Edited by Stephanie Emerson. Text by Gloria Sutton. 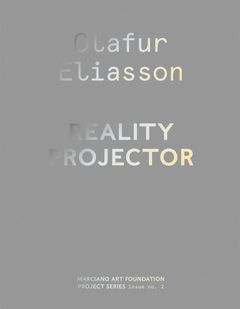 In collaboration with Sigur Rós musician Jónsi, Icelandic-Danish artist Olafur Eliasson (born 1967) conceived a complex installation for his site-specific exhibition at the Marciano Art Foundation. Using projected light and the existing architecture of the museum, he created a dynamic shadow play referencing both Los Angeles' history of filmmaking and the gallery's former function as a theater. 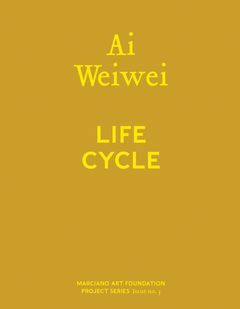 Ai Weiwei (born 1957) is recognized around the globe for his conceptual installations that generate dialogue between the contemporary world and traditional Chinese modes of thought and production. Ai’s multifaceted installation at the Marciano Art Foundation includes Life Cycle, a sculptural response to the global refugee crisis, and a series of figures based on mythic creatures from the Classic of Mountains and Seas, crafted from bamboo and silk. 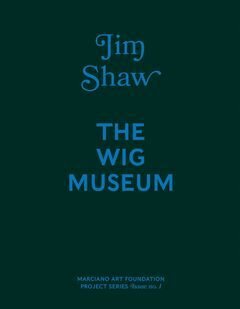 The inaugural exhibition of the Marciano Art Foundation, Jim Shaw: The Wig Museum highlights Shaw’s (born 1952) career-long engagement with America’s diverse histories. The Los Angeles local used the enigmatic artifacts found during the transformation of the former Scottish Rite Masonic Temple where the foundation resides—stage sets, robes, costumes and wigs—to construct a metaphor for the wig-wearing masonic and judiciary Anglo-Saxon power that is coming to an end.